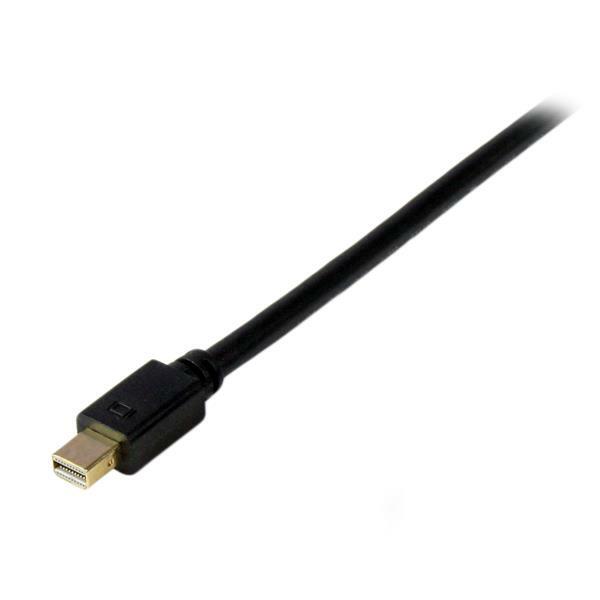 The MDP2VGAMM10B 10ft active Mini DisplayPort to VGA converter cable lets you connect your Mini DisplayPort-equipped device (Mac®, Ultrabook™ or any mDP enabled Microsoft® Surface™ Pro) directly to a VGA monitor or projector with no additional adapters or cables required -- a cost-effective solution for enabling your Mini DisplayPort computer to work with a VGA monitor or projector. The adapter cable is compatible with Intel® Thunderbolt™, when connected directly to a supporting DisplayPort over Thunderbolt I/O port. 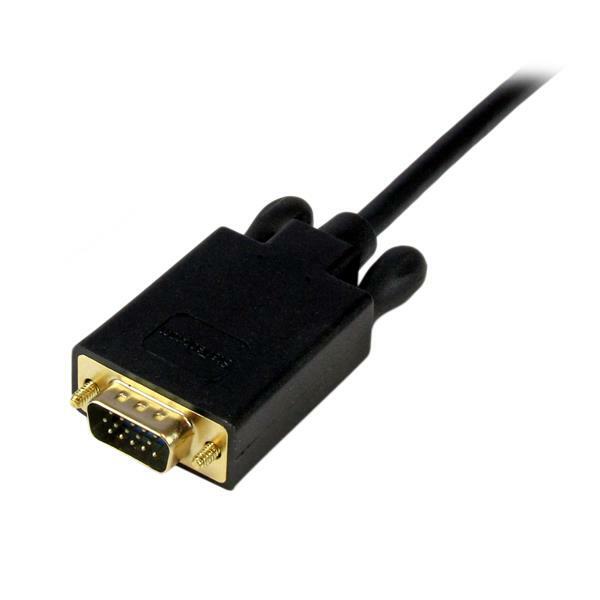 Plus, because the converter cable supports video resolutions up to 1920x1200 you can convert a DisplayPort video source to VGA without sacrificing video quality. The MDP2VGAMM10B is backed by a 3-year StarTech.com warranty and free lifetime technical support. Does this device also convert in the opposite direction? Unfortunately no, this device has an intended source and an intended destination. Refer to the title of the webpage for this order. How can I tell if this DisplayPort to VGA adapter is compatible with my setup? 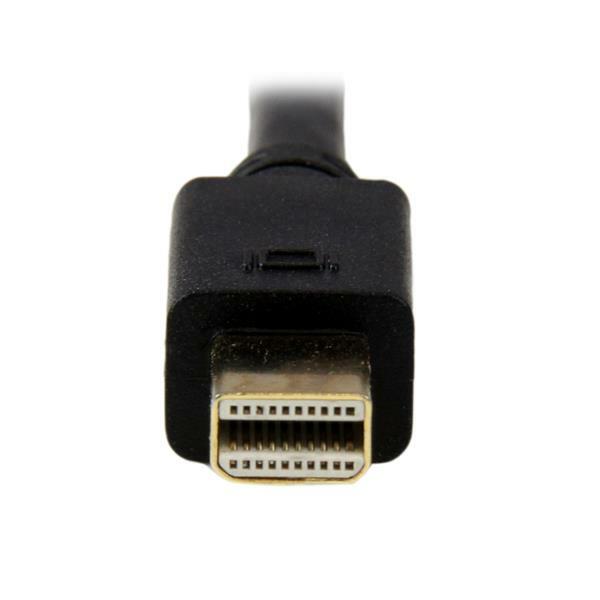 The DisplayPort to VGA adapter only converts from DisplayPort to VGA, which means that the DisplayPort connection must be the source and the VGA connection must be the destination. 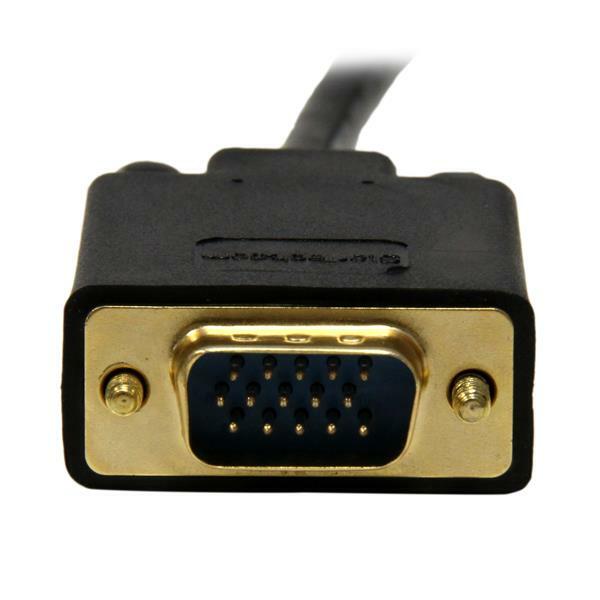 Note: DisplayPort to VGA adapters are active, and can be used with any version of DisplayPort. What is the difference between a passive and active DisplayPort converter? When you convert video from a source that uses DisplayPort or Mini DisplayPort to DVI or HDMI (for example, a computer to a monitor), you will need to consider the difference between passive and active adapters. If the source supports dual-mode DisplayPort (also known as DP++), then you can use a passive adapter because the source can perform the conversion. If the source does not support DP++, then you need to use an active converter, which includes additional chips to perform the conversion. Thunderbolt ports support DP++ natively. To run multiple monitors from the same computer, refer to the Active Adapters section below. Passive adapters are less expensive since they do not need to include additional chips. A quick way to check whether you can use a passive adapter is to see if the DisplayPort or Mini DisplayPort source has the DP++ symbol above it. The symbol is a D with a P inside of it, with two + signs to the left, one on top of the other. Active adapters use additional chips to make the conversion inside the adapter, regardless of whether the source supports DP++. This means that active adapters are more expensive than passive adapters. If you want to use multiple monitors with the same computer, you should use an active adapter because some video cards cannot run the maximum number of monitors while using DP++. This is especially true if the computer has more than one DisplayPort or Mini DisplayPort connection. Check with your video card manufacturer to confirm which type of adapter you need for the setup that you would like to run. Note: You should use passive adapters with StarTech.com MST hubs, except when you are converting from DisplayPort to VGA, since that type of conversion requires active adapters. For more information on using adapters with StarTech.com MST hubs, refer to the following FAQ: http://www.startech.com/faq/mst_hubs_passive_vs_active_adapters. If you experience issues when you connect passive video signal adapters to the Surface Dock, Microsoft recommends that you use active video signal converters instead. 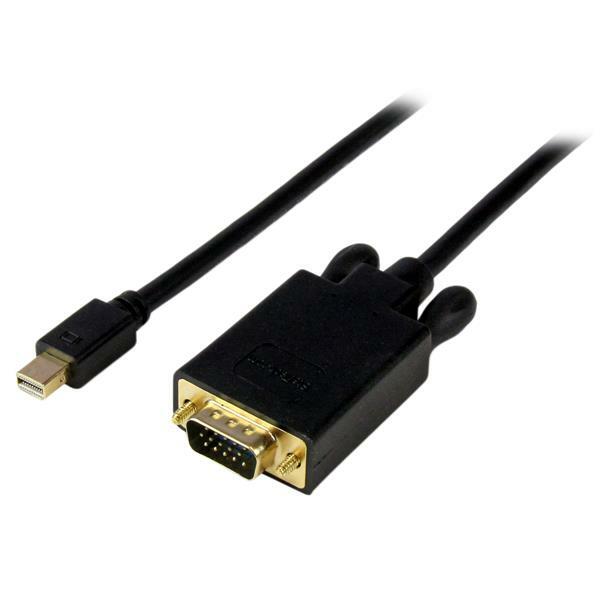 StarTech.com offers an active video signal converter for DVI monitors (MDP2DVIS) and for HDMI monitors (MDP2HD4KS). Note: This issue does not apply to the Surface Pro 3 Docking Station. Does this device require me to install drivers, or perform any other setup tasks? This device is plug and play. It does not use any drivers, and does not require any setup tasks other than plugging in the source (for example, a computer) and the destination (for example, a monitor). The monitor is not getting a signal and there is no error on the monitor. What do I do? Check that the monitor’s video port works with another source. Check that the cables between the source and the destination work with other equipment. Check whether the video adapter works with another source and another destination. The monitor is not getting a signal and the monitor says “Out of Range.” What do I do? The error “Out of Range” normally means that the resolution being output by the computer is not compatible with the display. Try lowering the resolution to see if that helps resolve the issue. You may need to connect another monitor or restart the computer or source to accomplish this. The monitor says HDCP, the monitor only works with certain sources, or I am getting a black screen, but only when displaying certain content. What do I do? This is likely a High-bandwidth Digital Content Protection (HDCP) issue. If you are converting a video signal from a device that can play copyright-protected content, HDCP will block the conversion to an analog signal (for example, VGA) or to any video capture cards. You will likely run into this issue when you use devices like Blu-ray players, DVD players, and certain gaming consoles. For more information on HDCP and gaming consoles, refer to the following FAQ: https://www.startech.com/faq/video_capture_cards_video_game_console_compatibility. Some video cards also output an HDCP signal full time. In this case there should be an option for your video card to disable this feature. You might need to contact the manufacturer of your video card for more information. Adhering to HDCP is required for converting all digital signals to analog signals or to video capture cards. Unfortunately, there is nothing you can do in these situations other than convert to a digital display.